Chief Minister Raman Singh reached the venue of the Garbage Management Workshop organised by Raipur Smart City, directly from the airport, in honour of citizens who helped in making the capital of Raipur in clean. "I congratulate the citizens of the capital, who are awakening people's consciousness about cleanliness in others without any name," Chief Minister Singh said, addressing the crowd at the workshop, on Tuesday. The Chief Minister said that there is no programme without public participation. "The citizens of the capital Raipur have made a campaign of hygiene a mass movement with their participation and will power. Now we have to keep Raipur clean and 'open defecation' free," Raman Singh said. He congratulated all the officials of the Urban Administration Department, including the Urban Administration Minister, Amar Agarwal. The workshop was attended by Urban Administration Minister Amar Agrawal, MLA Satyanarayan Sharma, Devji Bhai Patel and Chand S. Sundarani, along with Mayor of Municipal Corporation Pramod Dubey, and Chairman Praful Vishwakarma. On this occasion, Chief Minister Raman Singh also unveiled the 'City of Highness Award' trophy and 'City Hygiene Award'. "Public organisations such as petrol pumps, hotels and malls will have toilets that will be made available for public use through 'Violence Version' of 'Taylat My Right'," Chief Minister Raman Singh said. He further said that the 'City Hygiene Award' will be awarded to schools, hospitals, and public institutions that work best in hygiene. In the workshop, the Chief Minister honoured the '5 AM Army' and social institutions 'Bunch of Fools' and the representatives of various organisations, including citizens contributing to the cleanliness movement of the capital. The Chief Minister said that cleanliness movement is the highest priority for Prime Minister Narendra Modi. 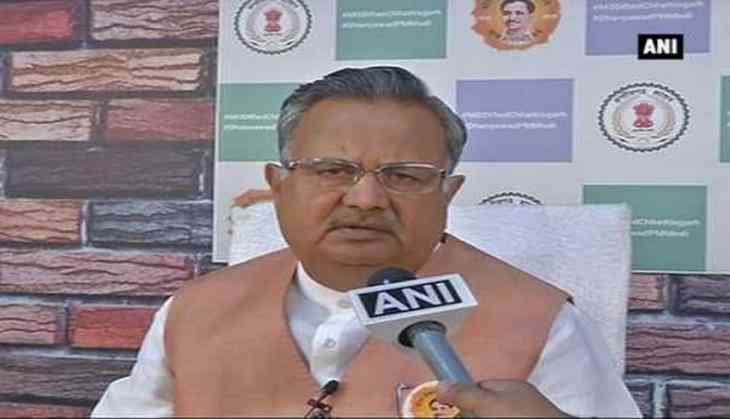 "It is a matter of happiness that the percentage of cleanliness in Chhattisgarh has increased from 18 per cent to 84 per cent with the participation of citizens in villages and cities," Chief Minister Raman Singh said. He further lauded the model of solid waste management of the Ambikapur Municipal Corporation and said that it is the best model of the country, which will be implemented very soon in the capital Raipur.